Tag sales, sometimes called yard sales or estate sales, are a great way to casually shop for used items while helping out your neighbors. Long Island tag sales are very popular for their wide selection of housewares, appliances, furniture, clothing, books, toys, antiques and nearly anything else you can think of. 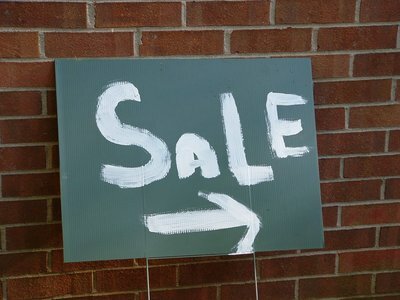 Check out a Long Island tag sale for inexpensive and reclaimed household goods. The casual, temporary set up of tag sales on Long Island makes it difficult to get attention for your tag sale, and sometimes the best way to find one is by reading local newsletters and simply taking a leisurely drive through familiar and unfamiliar neighborhoods. If you are looking to spruce up your home with a few new additions while saving money, the best thing to do is check out a tag sale on Long Island! Events Calendar - Find out about events going on near your Long Island neighborhood. Pawn Shops - Find pawn shops near you on Long Island. Auctions - Find out about upcoming auctions on Long Island. Antique Shops - Looking for something classic and unique? Find it at a Long Island antique shop.